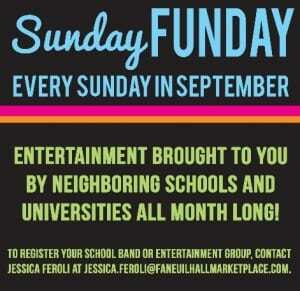 Sunday Funday at Faneuil Hall Marketplace This September! 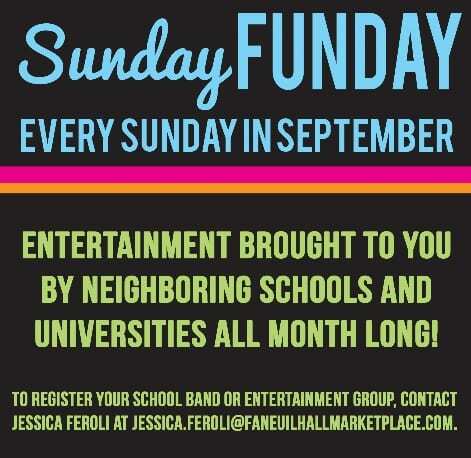 Every Sunday in September, Faneuil Hall Marketplace will host performances from entertainment groups from local colleges in the West End and South Market from 12pm to 4pm. Students wearing college apparel or who show their student ID will receive a free Faneuil Hall Marketplace koozie.